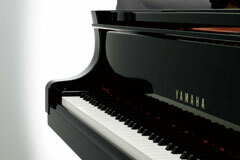 Yamaha’s C5X is a full sized grand piano that offers excellent touch, tone, beauty and power. Superior components and craftsmanship lend the C5X a rich, powerful tone which makes it ideal for teachers, advanced pianists and performance venues. 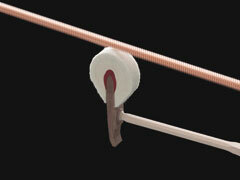 The C5X has a newly designed soundboard which provides greater dynamic range and sustain. The hammers on the C5X are made from the highest quality German felt and the strings made from the highest quality German music wire available for the best possible tone. 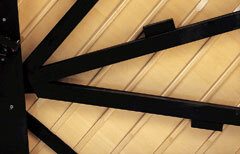 Keytops are made from Ivorite for the white keys and wood composite for the black keys to enable a more controlled touch. 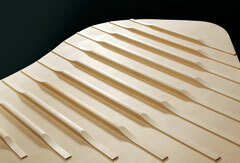 The resulting design capitalizes on physical phenomena unique to the craft of piano-making, to create a soundboard assembly with a structure that allows it to vibrate easily, something that would not have been possible without the deep understanding of the traditional art of piano crafting that goes hand-in-hand with Yamaha's experience and engineering know-how. 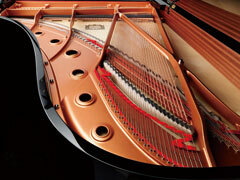 CX Series pianos feature a completely revamped design. Following in the footsteps of the CF Series concert grand, the CX Series design features simple, elegant lines, focusing on the characteristic legs of the piano in doing away with any excess ornamentation. This elegance is set off by a solid pedal box that allows performers to depress the pedals with as much power as they want, one aspect of a philosophy epitomizing "functional design" that allows pianists to become one with their instrument as they play. 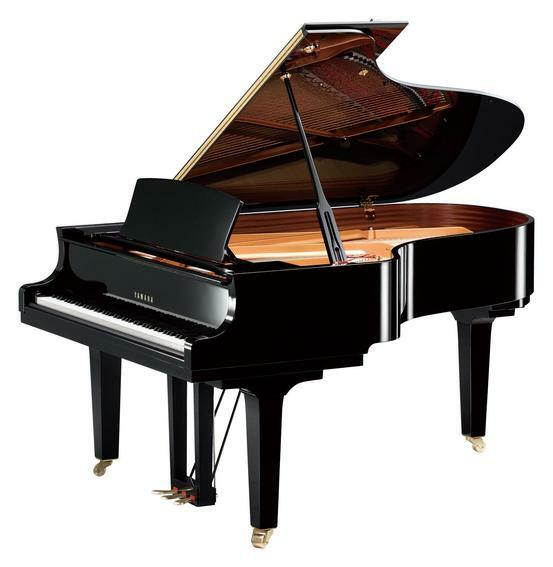 In order to provide the best playability possible, CX Series grand pianos offer white keys made of Ivorite&trade;, which has a feel, color, and absorbency very similar to natural ivory, while natural ebony has been used for the black keys. 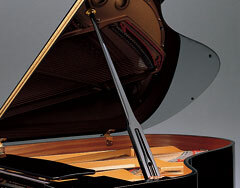 - The CX Series is equipped with a lid prop stopper to prevent your fingers from being caught when the piano lid closes unexpectedly. - The fallboard is fitted with a soft landing mechanism that means you no longer have to worry about the fallboard shutting on your fingers unexpectedly.